Sundance Bench Ranch is situated on 40 acres overlooking the Madison River. This private development is located 40 miles south of Ennis at the southern end of the Madison Valley. This property borders Forest Service land to the west & landowners within Sundance Bench enjoy private access to a wade-only stretch of the river. The centerpiece of this property is a distinctive Norwegian style compound that was originally designed & built by Stein Eriksen. Property is co-listed with Mirr Ranch Group. Mike is a native Montanan who was born and raised in Cut Bank. After graduating from the University of Montana in 1996 with a degree in Business/Finance, he continued working as a fly fishing guide in Montana, Chile, & the Bahamas. Mike now resides in Helena and operates Skinny Water Anglers as the owner/outfitter. 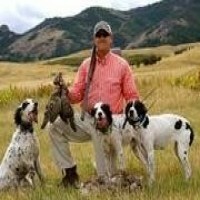 He also specializes in recreational real estate, with an emphasis on quality fishing & hunting properties.